Meghalaya, the ‘abode of clouds’ is one of the most picturesque states of India. 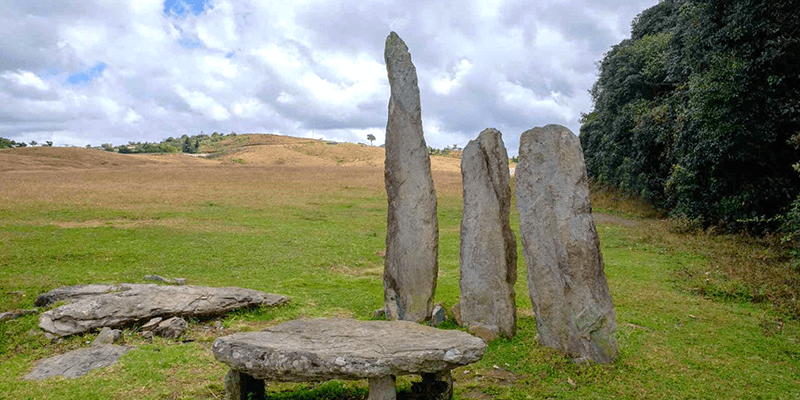 It is no surprise then that during the summers each year, Meghalaya is thronged by tourists from various parts of India making it the the hub of Meghalaya tourism. Fondly known as ‘Scotland of the East’, Shillong is the ideal summer destination with pleasant temperature and loads of beautiful sightseeing options. While Cherrapunji and Mawsynram are the foremost tourist places of Shillong, but they are a short drive away. Today, we intend to tell you about some places to visit in Shillong city itself. 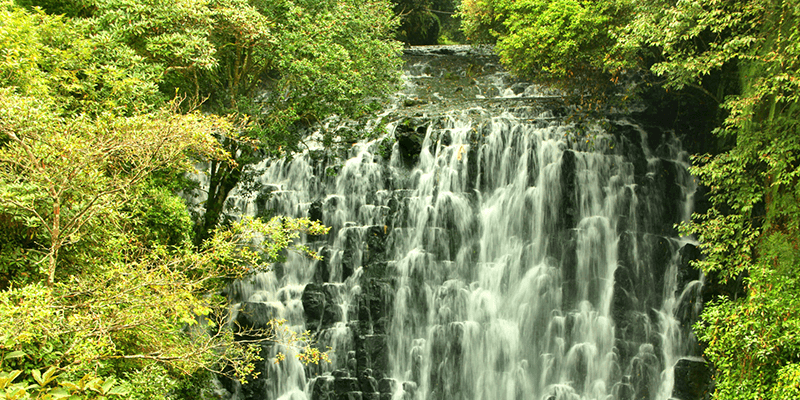 This scenic waterfall is situated in Upper Shillong. Elephant falls is a three step waterfall and you need to climb some slippery stairs to reach either of them. Hence, we would ask you to wear good footwear while visiting this Shillong tourism attraction. Though you cannot get very close to this waterfall, due to safety reason, there are great vantage points to experience the beauty of the gushing waters. Tip: This is one of the rare tourist places in Shillong that has convenient access for the disabled too. Shillong Peak is the highest point in the city and situated inside the Eastern Air Command center. 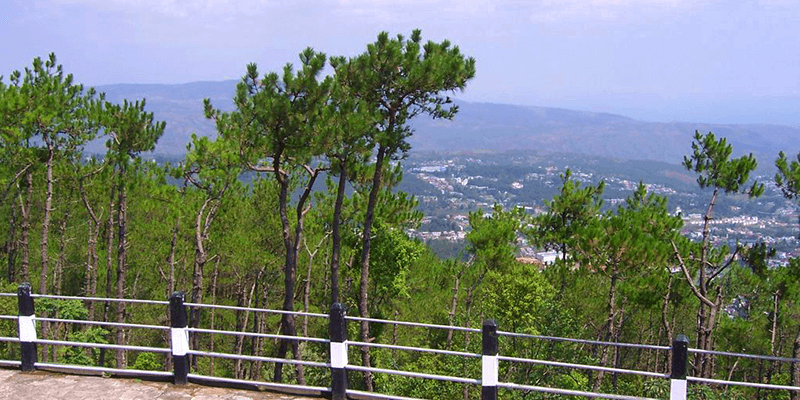 The peak offers a panoramic view of Shillong city. As this peak falls within Air Force property, there are various restrictions and you will have to provide a valid ID and deposit your mobile phones at the gate. Apart from the Shillong Peak, also keep some time aside to take a sneak peek at the Airforce Museum. The museum contains exhibits which are rich in military history. There are aircrafts on display from the British times too. Note: The area remains closed for public during all public holidays. Tip: On your way back do care to buy fresh organic vegetables from the local farmers. All Saints Church is the oldest church in the North East and it was originally built in 1897. The original structure was destroyed by an earthquake and rebuilt in 1902. While the interiors of this church boast of colonial-style architecture along with stained glass paintings, the exteriors are made with wood. The church is a must visit tourist place in Shillong for people seeking peace. This one of a kind museum houses various species of butterflies, moths, spiders and beetles from the Indian sub-continent. This is a must visit, if you are travelling with your kids. 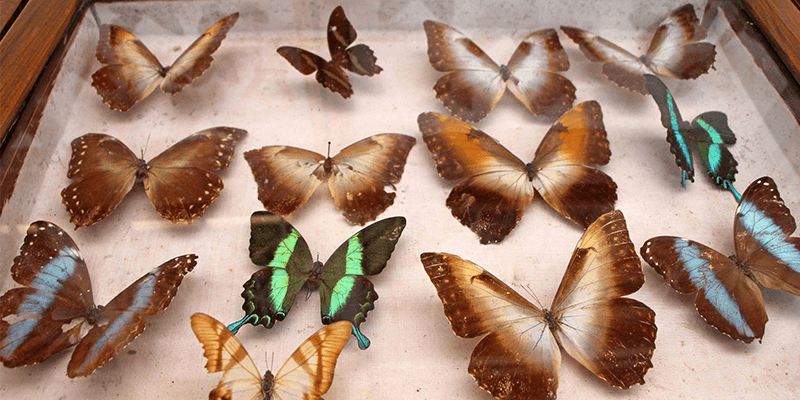 There are areas within the museum that shares information about the conservation and breeding of butterflies. 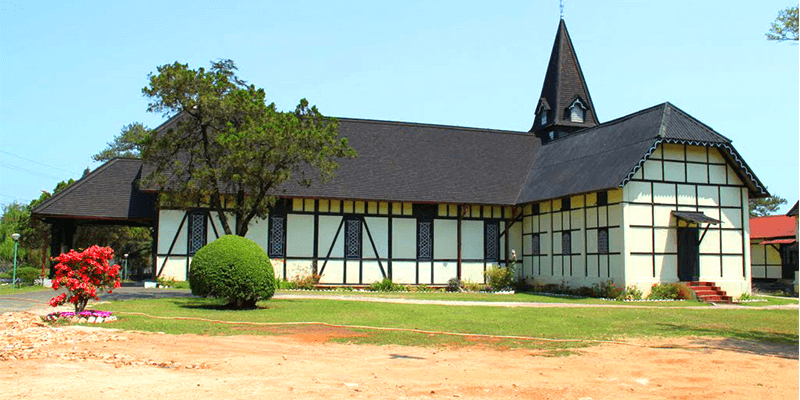 This privately owned museum is managed by Wankhar and Riatsamthiah. Timings: 10 AM – 4:30 PM (Mondays to Fridays), 10:30 AM – 1 PM (on Saturdays), museum remains closed on Sundays. Situated in the heart of Shillong city, the Ward’s Lake has to be one of the most beautiful lakes in India! The area around this lake seems to come up straight from those fairytale books. 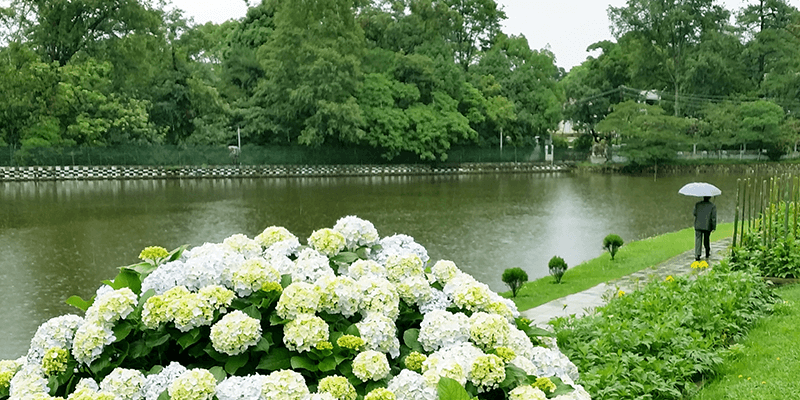 The lake is lined with lamps, lush green grass and colorful flowers of various kinds. Ward’s Lake is over a century old and it is believed that Shillong was planned around this lake. Between March and May, the lake is lined with blooming Rhododendron trees. You would find ducks and geese swimming in the clear waters of this lake. There is boating facility available that helps you enjoy the beautiful surroundings to the utmost. Entry fee: INR 10 (per person) and photography charges of INR 10. 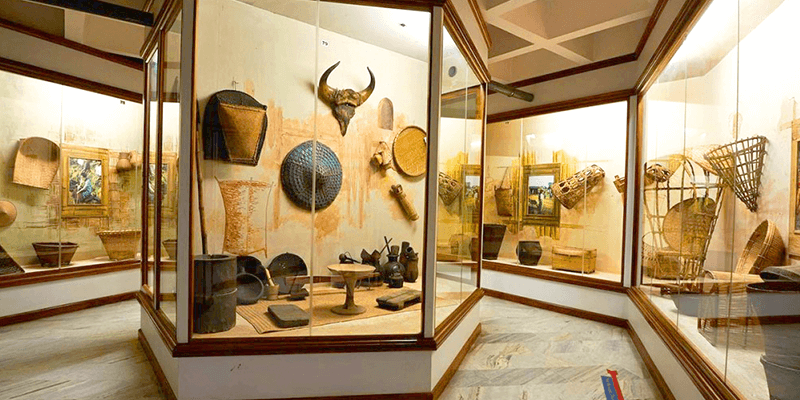 This elaborate museum offers glimpses into the culture and lifestyle of the North East. The five-floor museum building has levels dedicated to different categories of exhibits. One can find some of the ancient pictures of Northeast Indian tribes. There are also sections showcasing the Neanderthal era artifacts. But the real highlight of the Don Bosco Museum is its Skywalk. Perched on the fifth floor of the building, the Skywalk offers a bird’s eye view of the Shillong city. Entry fee: INR 50 per person for Indians, INR 150 per person for foreign tourists. Extra charges are levied for cameras. Tip: There is a cafeteria inside this building which serves lip-smacking sandwiches, light refreshments and beverages. Must See: Right next to the museum is the Don Bosco Cathedral. The church has beautiful interiors. Situated 10 KM away from Shillong city, this is a must visit place when you are in Shillong. The Lake was initially a reservoir built to support the dam (built as a part of North-East India’s first Hydel Power Project). 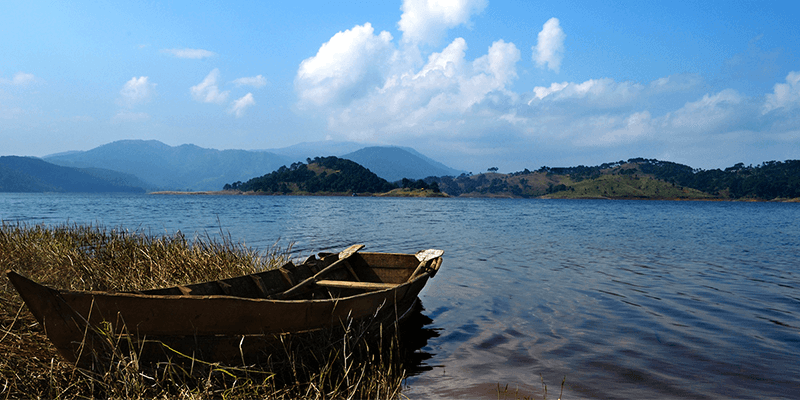 But owing to its scenic settings, whereby it is surrounded by the East Khasi Hills and lush greenery, the Lake soon became a thriving tourist spot in Shillong. Lum Nehru Park is a beautiful garden on the shores of Umiam Lake. There are plenty of water sports and photo opportunities at this lake. Entry fees of Umiam Lake Water Sports Complex: INR 200 per person for skiing, INR 100 per person for yachting, INR 50 per person for river bus, INR 75 per person for high speed boat, INR 10 per person for cruising boat, INR 50 per person for scooter, INR 20 per person for pedal boat/canoe/kayak. Tip: Do care to taste the fresh cut pineapples from the vendors near this lake. This green beauty is situated about 28 KM away from Shillong city. The 78-acre spanning Sacred Forest is considered holy by the local Khasi tribe and is believed to be protected by their sacred deity – Labasa. While visiting this forest you must adhere to the norms set by the tribe. You cannot take anything from this forest – not even a twig or stone. It is believed that if you take something away from the forest, your happiness will be taken away by the deity! Within the forest there are tall monolithic structures, which are used for sacrificial purposes. You must pay respect to these tall structures before venturing into the forest. Mawphlang Sacred Forest has many species of plants, trees, mushrooms, flowers, mangrove trees and fruit-bearing trees. Timings: Between 9 AM to sunset. Tip: The tribal community reserves the right to prohibit admission on any grounds and any day. Must See: You must check out the Lily Cobra. It has leaves and the flowers that resemble a cobra!